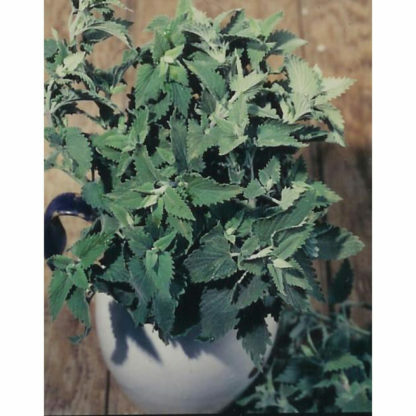 (18”-30”) Catnip is known as the feline aphrodisiac, catnip is also used to flavor tea and salad. Sports coarsely toothed, downy gray-green foliage and small blue flowers. Deters garden pests. Full or partial sun. Perennial. Zones 3-9. 35,000 seeds/oz.